Hot on the heels of his “31 Days of Hammer” in January, his “31 Days of British Horror” in March and his “31 More Days of British Horror” in May, Jules is travelling across the pond this July with… you guessed it… 31 Days of American Horror! You can check out al of the “31 Days of Hammer” reviews by CLICKING HERE, and the “31 62 Days of British Horror” reviews by CLICKING HERE. 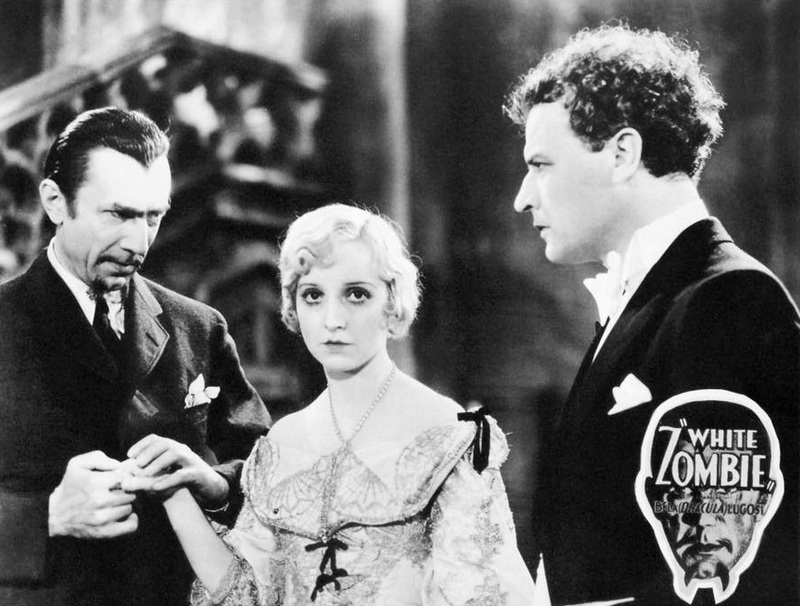 By 1932 the horror boom triggered by the success of the previous year’s Dracula and Frankenstein was in full swing, with every studio with a few cents to rub together jumping on the bandwagon to cash in while the going was spooky. Three years earlier, William Seabrook’s first person account of his travels in Haiti had entranced the American public with its tales of voodoo and zombies, so it was only a matter of time before somebody decided to bring it to the big screen. 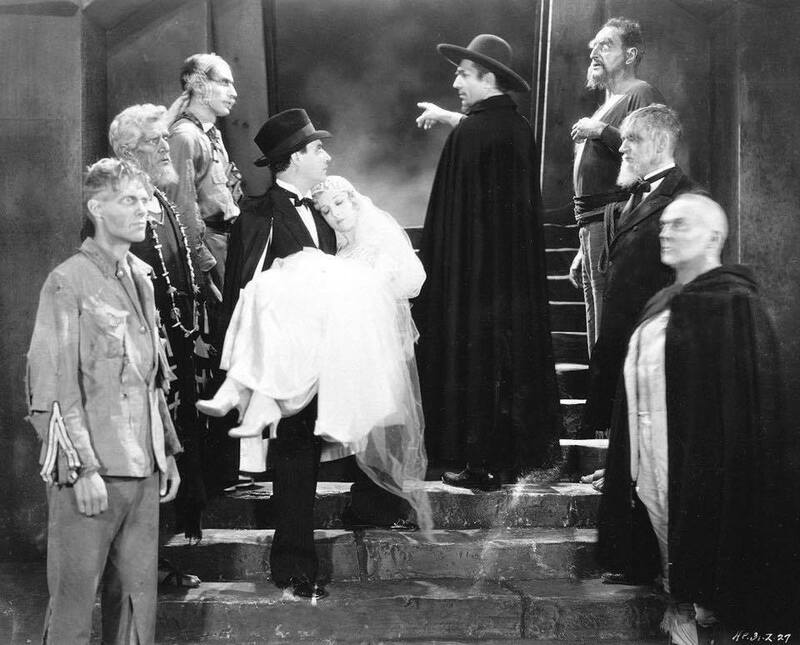 Despite being essentially a Poverty Row operation, the Halpernin brothers managed to not only be the first out of the blocks, but by shooting at night on the Universal lot gained access to some high-end sets and scenery, which along with the presence of then-superstar Bela Lugosi, meant that White Zombie looks and feels like a production punching well above its weight. En route to Haiti to marry her fiancé Neil Parker (John Harron), Madeleine Short (Madge Bellamy) makes the acquaintance of Charles Beaumont (Robert Frazer), a rich businessman who convinces her to have the marriage ceremony at his plantation house. Beaumont’s intentions are far from honourable though, as he has fallen in love with Madeleine and will do anything he can to make her his. 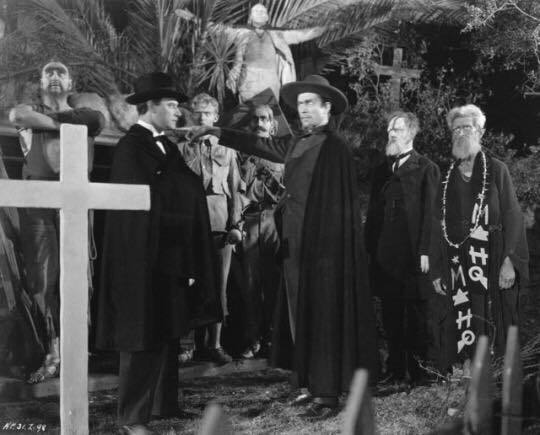 When trying to split the couple up and professing his love for her fails, he turns to Murder Legendre (Bela Lugosi), a voodoo master who runs a local sugarmill staffed entirely by zombies. Right off the bat, this is a great looking film. From that evocative opening credit scene of a voodoo ceremony, it’s ripe with atmosphere and conjuring up a viscera, alive and dangerous vision of Haiti. There’s not much incidental music in the first half or so, with Halperin smartly letting the incessant sound of crickets and the occasional voodoo drum beat in the distance set the tone. It’s a cheap black and white film, but it feels hot, humid and dangerous. Being the first proper zombie film, there’s some lovely gatekeeping early doors, just in case anyone wasn’t up on current affairs, with Clarence Muse’s fully believing coachman’s wide-eyed terror and missionary man Dr Brunner’s (Joseph Cawthorn) more sceptical scientific take coming in sharp succession early doors. It’s exposition sure, but it’s world-building too and establishes what kind of world we’ve found ourselves in. It’s beautifully brought to life after that too. The mill where the zombies work is a masterpiece of sound design, the constant grinding of the machinery reflecting the beat of the drums, while the zombies themselves (each bested enemies of Legendre) are awful, grim creatures, all blank stares but with a spark of humanity about them that adds to their horror. Worst of all is their complete non-registering when one of their own falls to his death in the mill’s machinery. You don’t expect much from zombies, but the knowledge that they still have some remnant of their previous selves really gives that scene some extra grimness. Casting-wise, it’s a mixed bag. Madge Bellamy looks wonderful, floating around in her white slip and wedding crown as the titular zombie, again showing just enough of her humanity as to really bring home the horror that’s befallen her, while John Harron’s supposedly heroic love interest goes off the rails so badly it’s hard to find much empathy for him, though Harron plays it well. He loses it big time, leaving it up to poor old Dr Brunner and the slowly-zombiefying himself Beaumont to come to the rescue. Joseph Cawthorn is a funny one in this. He’s given a lot of the exposition and main plot to deal with, which he’s more than up for, but he’s also saddled with a bafflingly unfunny ongoing gag about needing a light for his pipe and fluffs lines on a regular basis, calling to mind William Hartnell’s Doctor Who. Like Hartnell, it’s not enough to ruin his performance, but more a sign of the frantic pace White Zombie was being shot at. It would have been nice to see what he did with a few extra takes, is all. Naturally, the whole film stands or falls on its villain and as always, the great Bela Lugosi doesn’t disappoint. With Jack Pierce giving him an even-more evil look with a widow’s peak and monobrow (perfect for those intense close-ups), Bela plays Legendre with a delightful mix of malice and mischief, full of evil intent, but chuckling to himself at his power over his foes. Arrogant and hubristic, it’s his over-confidence that’s his downfall in the end and Lugosi just sells it so well. He’s on top form here and it’s another of the sadly too-few examples of what he was capable of with a good character to sink his teeth into. 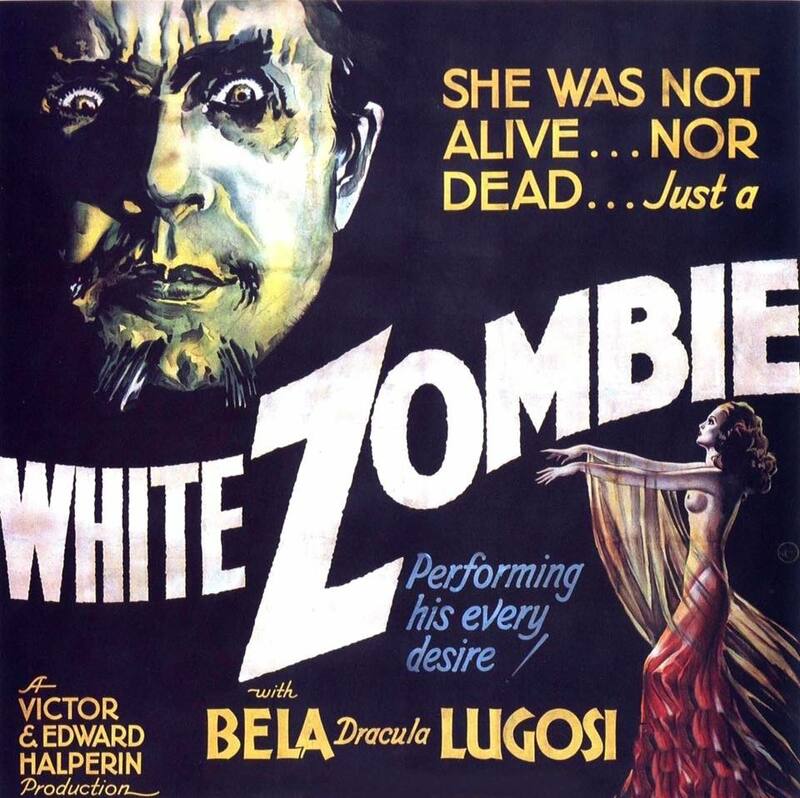 White Zombie isn’t perfect. For all the great sound design (that vulture with the human scream is horrific), Halpernin’s love of the silents led him to do the finale almost without dialogue, but instead of atmospheric silence and incidental noise, floods it with dramatic and frankly inappropriate music. It’s not much, but it means what could have been a minor classic is hobbled somewhat in the final act. It’s *nearly* a minor classic though and an important chapter in horror cinema all the same, while featuring one of its brightest star’s finest performances. That’s more than enough.